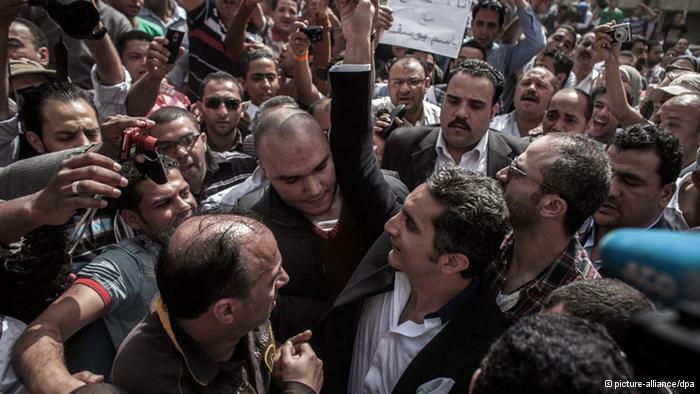 This comes despite the new Egyptian constitution guaranteeing freedom of expression. Clauses about defamation opened a legal grey area that certain forces are trying to exploit to muzzle criticism, also in the form of satire. Eltahawy pointed out that many of the legal challenges are filed by regular individuals or Islamist lawyers. Slander of political figures and denigration of religious values are the primary charges. But the state prosecution has ultimate say in the matter, Eltahawy added. “They can make the decision not to press charges, not to refer the matters to court,” she said. Though it should be defending free speech, instead “the public prosecutor is increasingly charging individuals for freely expressing themselves,” Eltahawy said. In recent weeks, CBLDF.org has brought you news of the role of political cartoons in the Arab Spring and Magdy al-Shafee’s Metro first disappearing and then reappearing on the shelves of Cairo bookstores. While censorship is on the rise in the post-Arab Spring, so is the level of protest against such censorship and the resolve of individuals who have been charged remains strong.